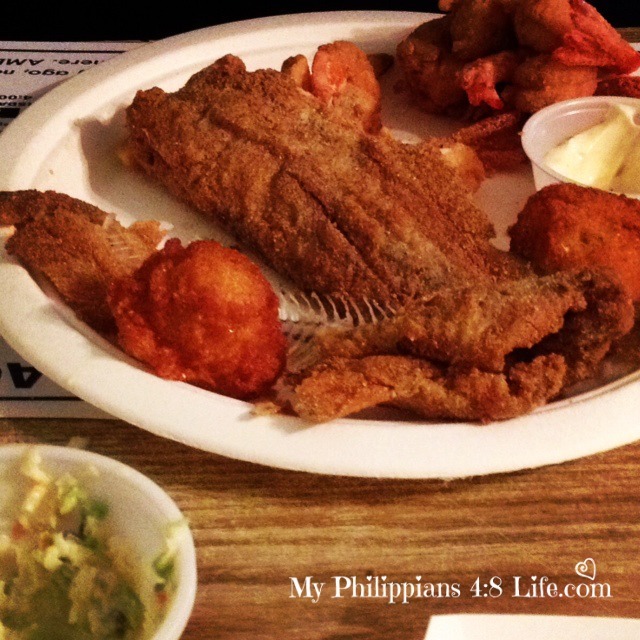 Fried catfish, hushpuppies and slaw…Oh My! It is one of our favorite little mom and pop places out in the middle of rural Georgia (officially called Oconee). This little gem is only open on Thursday, Friday, and Saturday evenings. Their menu, which is printed on paper placemats, is centered around catfish dredged in corn meal and fried to a crispy perfection. Although other items are offered, why in the world anyone would want to order anything other than their catfish is a mystery to me. There are so many things I love about this place. 1) Its vinyl table clothes, long wood tables, benches, paper plates, plastic utensils and paper cups are part of their comfortable and clean simplicity. 2) The staff and the customers are always friendly…Southern hospitality at its finest. 3) The food is fresh, fried, and deeply Southern. There are some healthier options on the limited menu, but when I want to splurge…this is it. Cheese grits, Mama Herb’s slaw, hushpuppies, and fried fish…Heaven help me…Pass the Louisiana Hot Sauce and the bottle of Cane Patch syrup. Herb’s is a Polaroid snapshot of rural Georgia that is disappearing in the midst of our chain restaurant driven communities. There is a familiarity found these around tables that is comforting. And if you are new in town, well, you won’t be by the time you leave. Herb’s is about community and community involves conversation… long talks around tables, from table to table, and even across the crowded dining rooms. It is a hoot to just sit and listen. 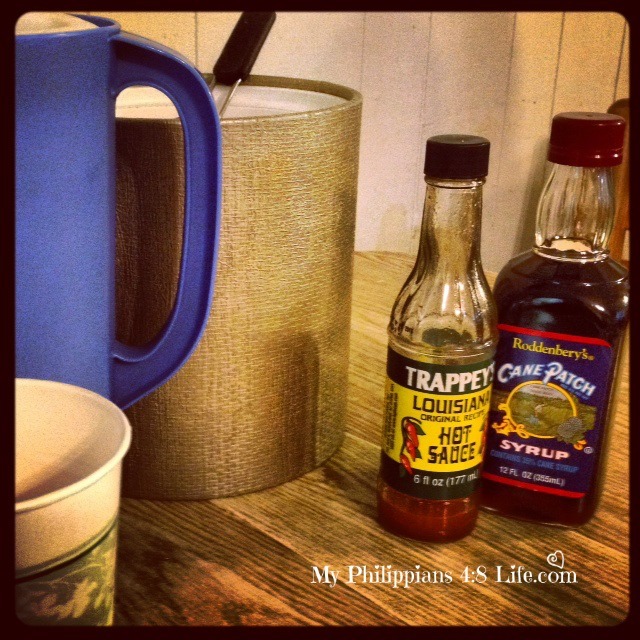 Wisdom, political commentary, and the latest news flow as freely as the sweet tea and hot sauce. Free laughter, a smidge of gossip, and shop talk. . .
You don’t eat at Herb’s if you are in a hurry because it is about being present and intentional . . This place is a whisper from the past and a reminder of simpler times. It’s the perfect Friday evening place because it sets the tone for your weekend as you linger a little longer over sweet tea and extra hushpuppies. . .